I'm super excited to share this one with everyone! While up at Sled Dog Studios I got the opportunity to work with the very talented Bri Holland!!! One morning while others were in studio, we sat down, looked at each other and just said we wanted and HAD to do this song as a duet! Thus, a spontaneous studio project began! The background is all acappella, self tracked and editted. Big thanks to: My friend Huston Collins for laying down the Bass part. Dave Longo from Sled Dog Studios for the drums and this amazing Mix! Follow me on Twitter @PeteyYang or Like me on facebook! 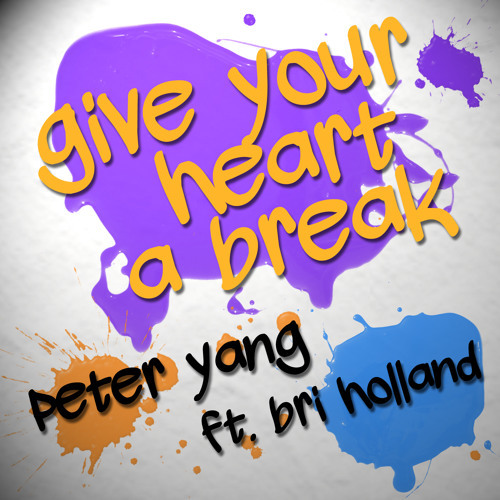 https://www.facebook.com/peteryangmusic also check out Bri Holland on facebook! https://www.facebook.com/brihollandmusic More news! Within the next week look out for a music video of this track from when we were at Sled Dog! Will be posted upon release!